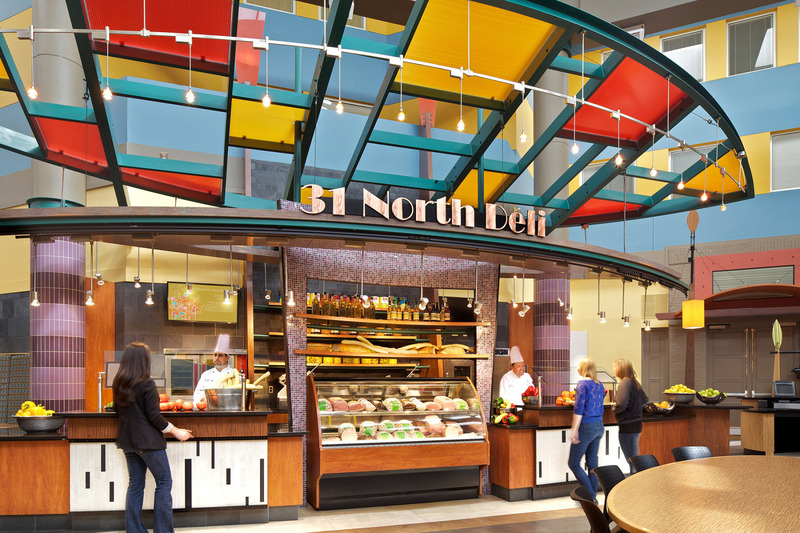 Architectural and interior renovation of 45,950-sf building including Atrium, 800-seat dining commons, and commercial equipment design. 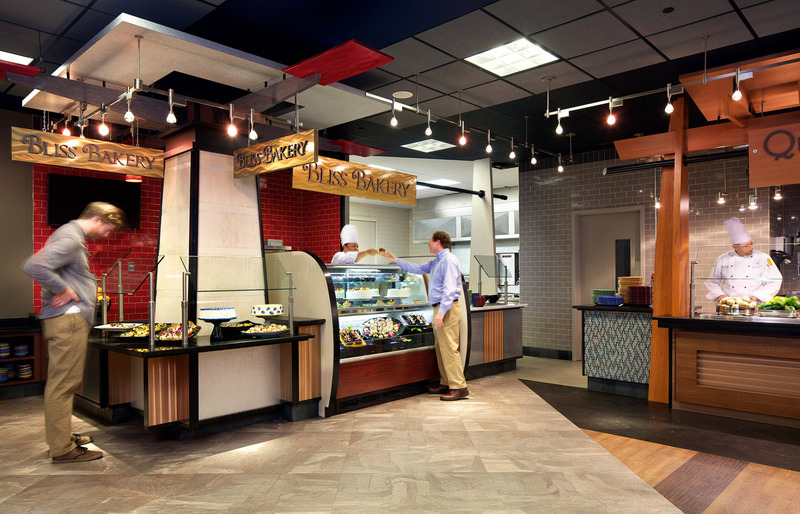 The Atrium at Eickhoff is The College of New Jersey’s main dining facility. 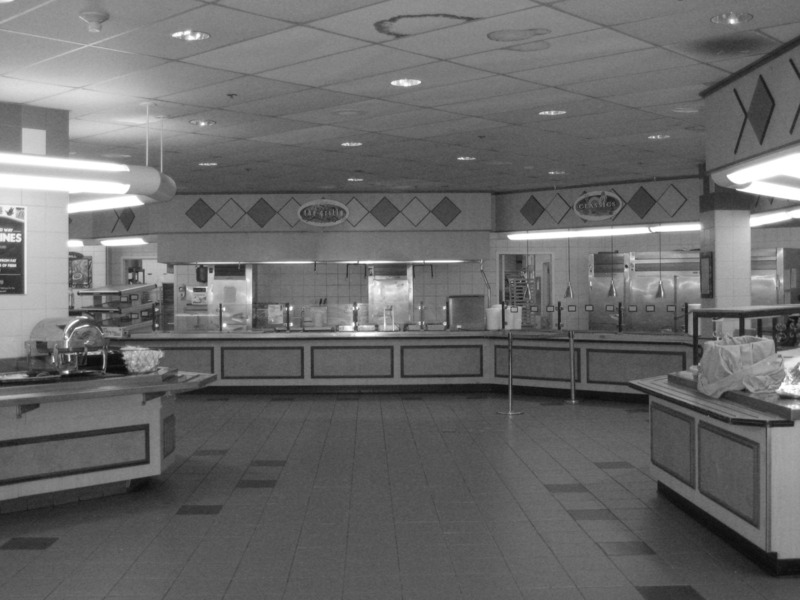 Built in 1991, The Atrium offered a serving line and cafeteria-style seating. 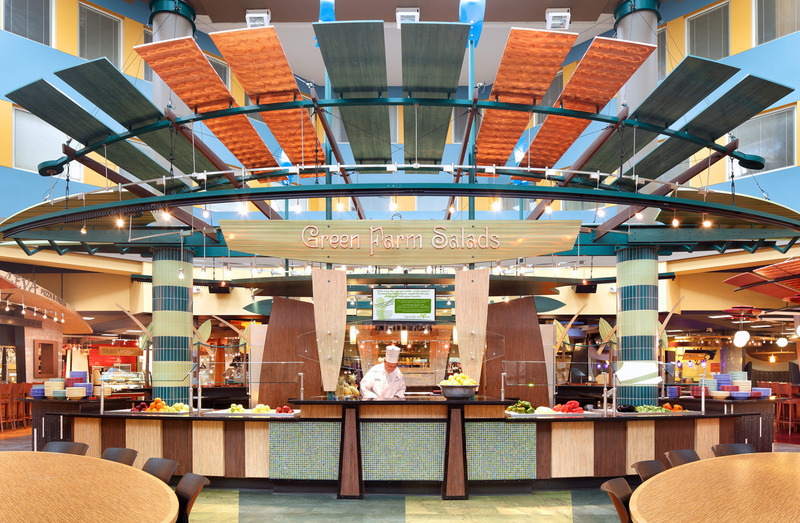 The 800-seat dining hall had a skylighted atrium, but its full potential had not been realized. 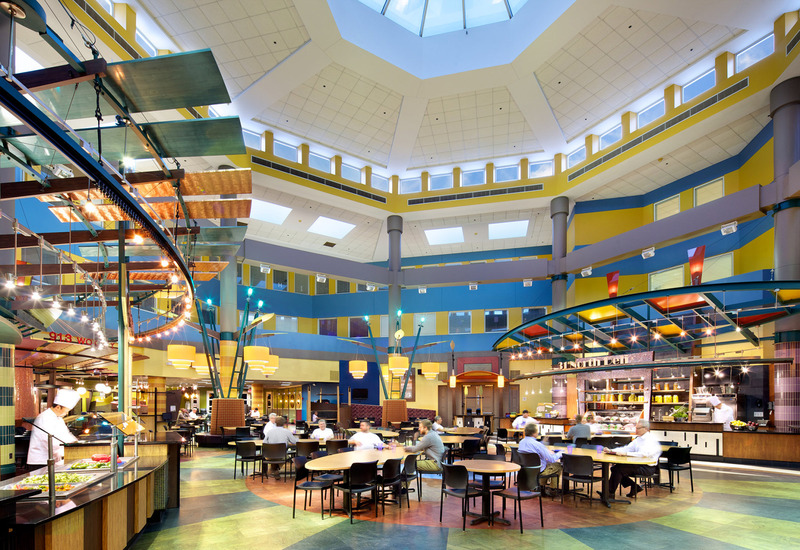 As the main campus dining facility, The Atrium had to be renovated on an extremely challenging construction schedule. 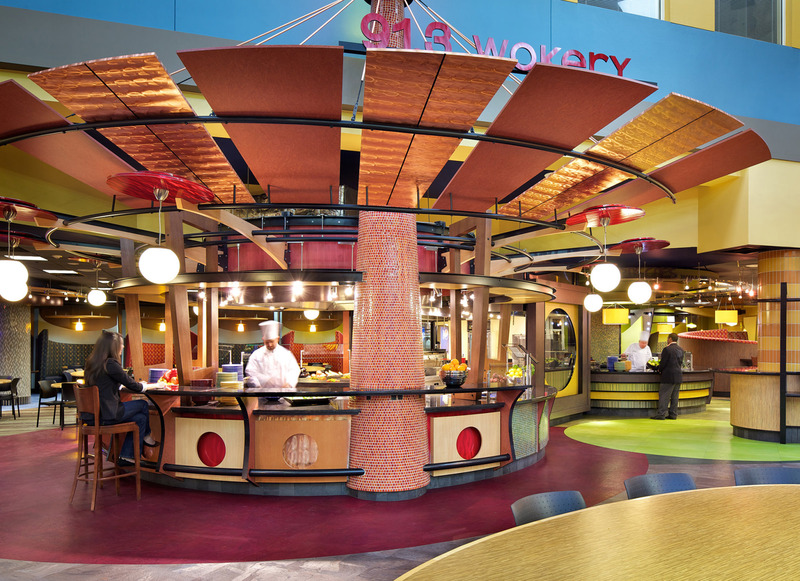 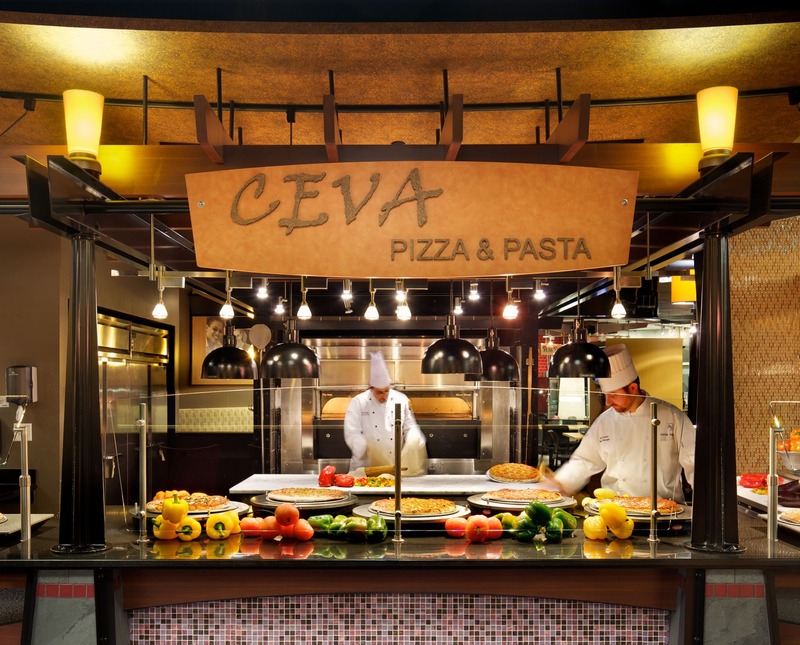 The main objective was to transform the Atrium from a dining facility into a dining experience that would support the college’s goal of providing opportunities for formal and informal interaction in a living-learning environment. 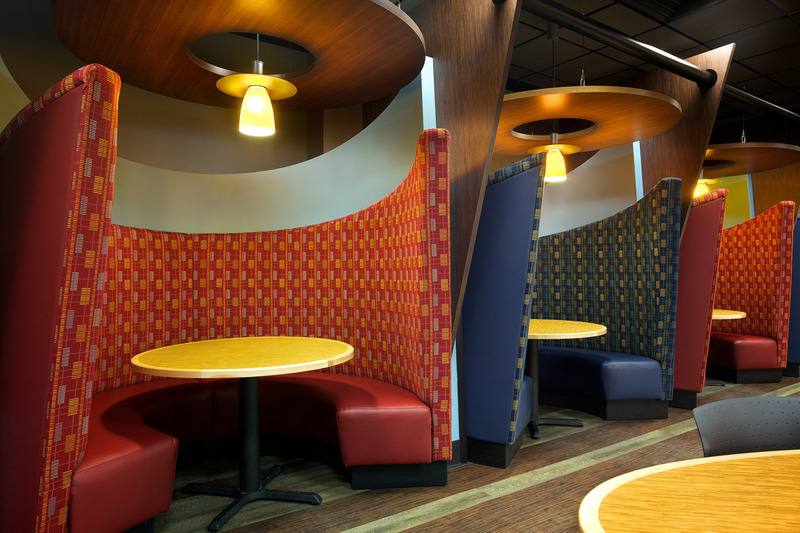 The project program included a renovation of a serving and seating areas, but required maintaining the existing kitchen. 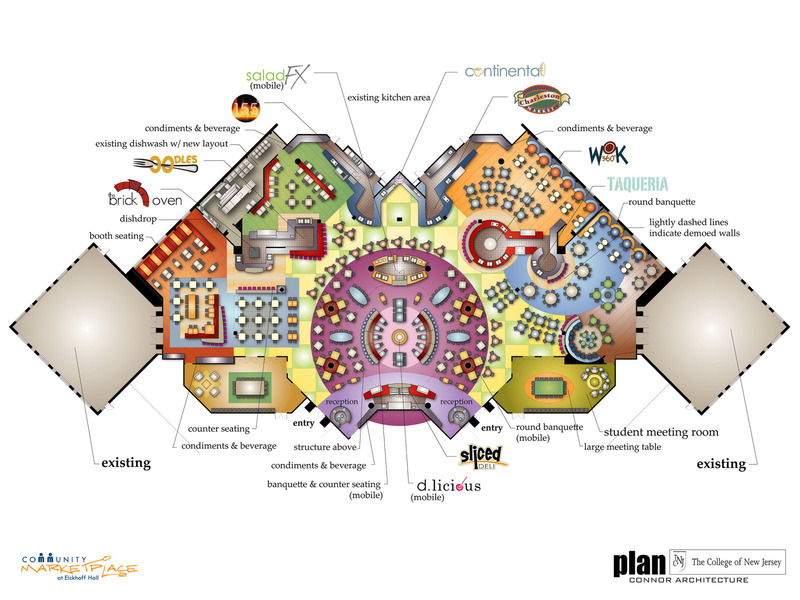 Seats counts could not be reduced, and flexibility for events needed to be built into the design. 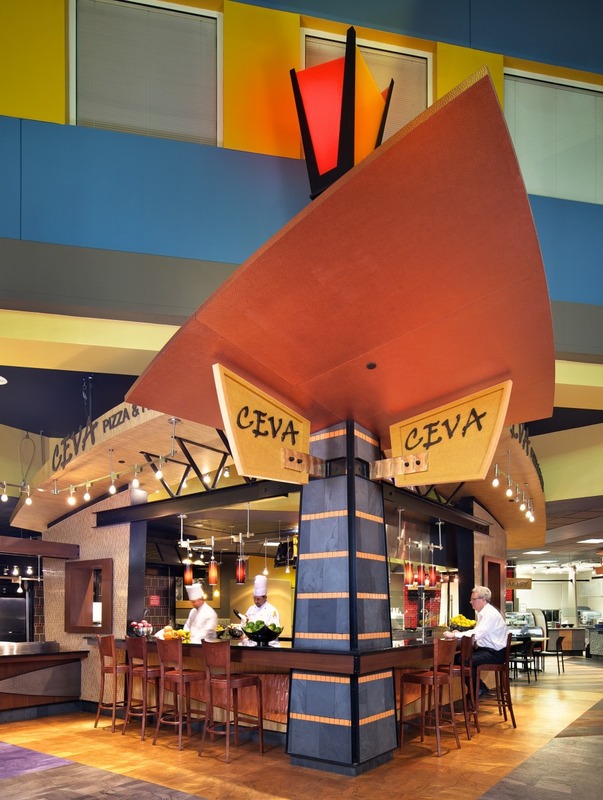 The result was a destination-dining concept with eight distinct dining stations, each with its own food, style, forms and colors. 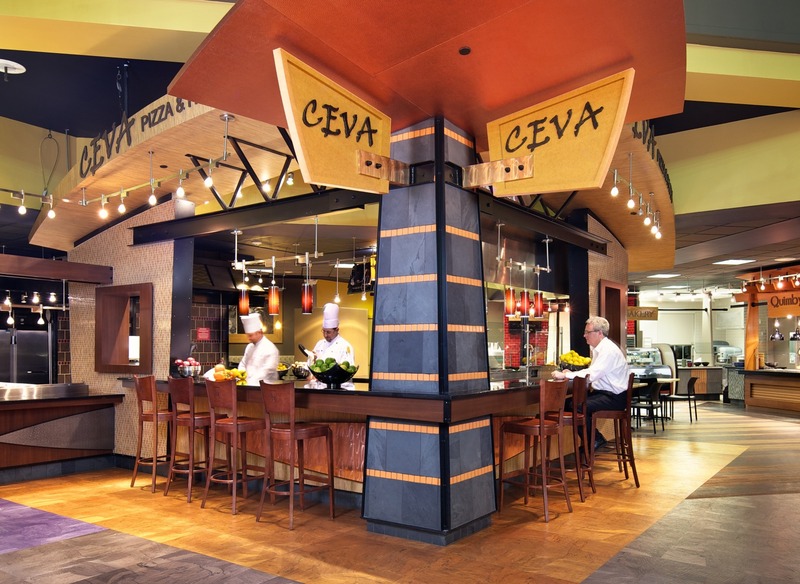 A variety of seating options are offered, including tables and chairs, booths, banquettes and counter seating where students can watch the chefs cook on display. 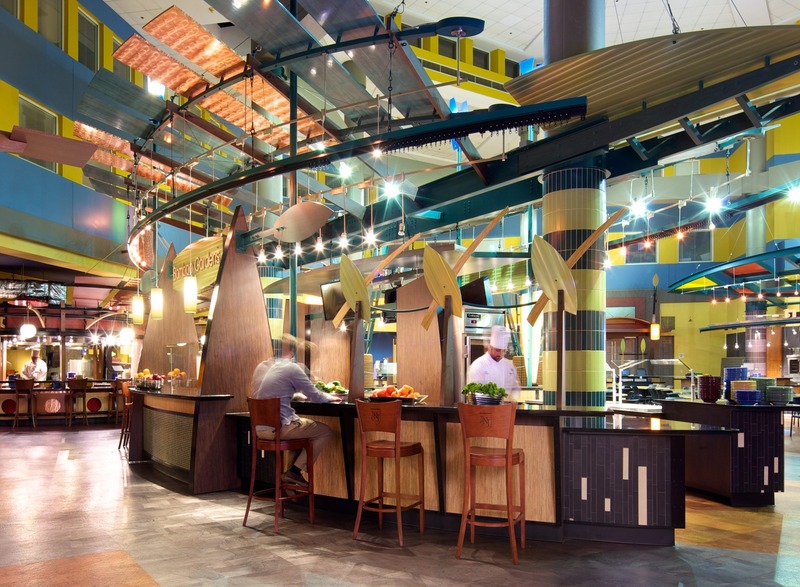 Through color and sculptural form, the 40 foot high atrium is enlivened. 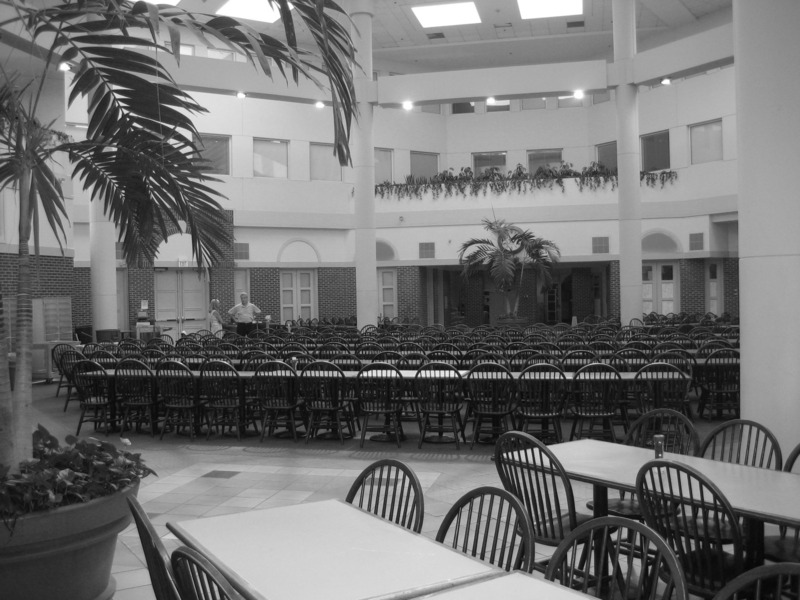 The Atrium at Eickhoff has been so successful that the college is planning an expansion of an additional 100 seats.